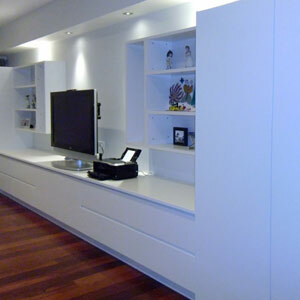 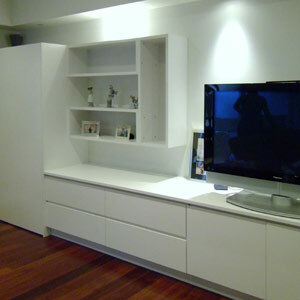 The customer wanted a media wall unit in their family room, with retractable pocket doors to operate media equipment. 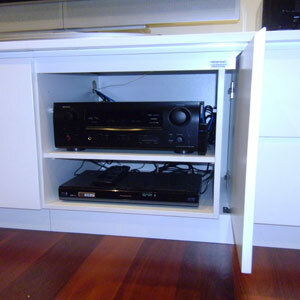 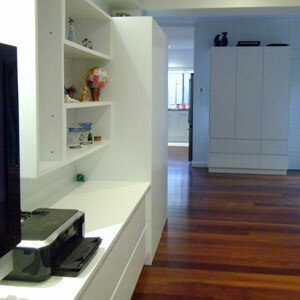 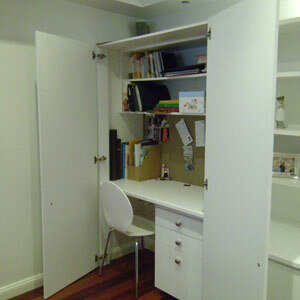 The cabinetry included storage cupboards on one end and a hideaway desk at the other, and display shelving either side. 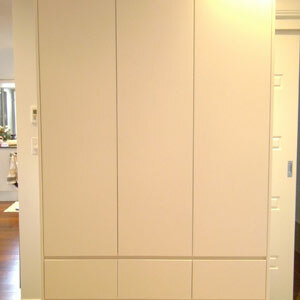 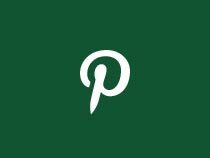 The finish is a two pack polyurethane satin finish to match other cabinetry in the home and used shark-nose handleless openings to create an interesting and streamlined shadow line.